Investors in OCZ Technology Group Inc saw new options begin trading this week, for the June 2014 expiration. One of the key inputs that goes into the price an option buyer is willing to pay, is the time value, so with 241 days until expiration the newly trading contracts represent a potential opportunity for sellers of puts or calls to achieve a higher premium than would be available for the contracts with a closer expiration. Solid state drive maker OCZ Technology struggles with internal turmoil and a tough competitive environment. Some observers wonder whether the company is quietly shopping itself. Hagens Berman Sobol Shapiro, LLP, a national investor-rights law firm, today reminded investors who purchased stock in OCZ Technology Group, Inc.
Hagens Berman Sobol Shapiro, LLP, a national investor-rights law firm, today announced further investigation of OCZ Technology Group, Inc.
Lieff Cabraser Heimann & Bernstein, LLP reminds investors of the December 10, 2012 deadline to move for appointment as lead plaintiff in the securities class litigation against OCZ Technology Group, Inc.
Lieff Cabraser Announces Class Action Lawsuits Against OCZ Technology Group, Inc. The law firm of Lieff Cabraser Heimann & Bernstein, LLP announces that class action lawsuits have been brought on behalf of all persons or entities who purchased the securities of OCZ Technology Group, Inc.
Cohen Milstein Sellers & Toll PLLC Announces The Investigation Of OCZ Technology Group, Inc.
Cohen Milstein Sellers & Toll PLLC is conducting an investigation to determine whether OCZ Technology Group, Inc.
Rigrodsky & Long, P.A. Announces A Securities Fraud Class Action Lawsuit Has Been Filed Against OCZ Technology Group, Inc.
Ryan & Maniskas, LLP Announces Class Action Lawsuit Against OCZ Technology Group, Inc. Portfolio Manager David Peltier analyzes the sharp decline at chipmaker OCZ Technology. 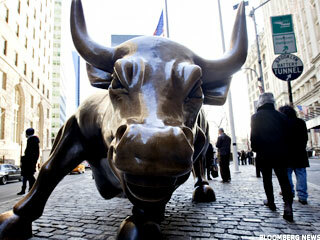 Four stocks will have the biggest impact in a week of technology, social gaming, and commodities. The S&P 500 posts its highest close in more than four years as bonds dive and gold jumps above $1700 an ounce. Is OCZ Technology still in play?